NASHVILLE, Tenn. (December 7, 2015) – Remington Arms Company, LLC (“Remington”) announced today that it signed country music hit-maker Mark Wills to participate in various media projects associated with the company’s 200th anniversary, including an all-new show debuting in July 2016. The general public knows Wills as a multi-platinum selling country music star with eight top 10 hits to his name, including "19 Something," "Wish You Were Here" and"Don't Laugh At Me;" two of which received nominations for Single, Song and Video of the Year by the Country Music Association. Wills won the Academy of Country Music's award for Top New Male Vocalist in 1998. In 2002, his single "19 Something" spent six consecutive weeks at No. 1, was Billboard's top country hit of the year and was the second most-played song of the decade in 2009. Inside the firearms industry, Wills is known for having helped bring the sport of 3 Gun competitive shooting to the mainstream. Working with Remington takes Wills back to his roots, intersecting tradition, family, and a sense of adventure, themes familiar to his audience. "I'm excited to be working with Remington,” said Mark Wills. “Their 200th Anniversary is going to be a big celebration throughout the next year and I look forward to not only being the host of their new show but tying my day job (singing) into it, all while having the privilege of using some of the best firearms in the industry." Wills spent the weekend at The Mirage in Las Vegas performing as part of the Rocky Mountain Elk Foundation's national convention, Elk Camp, alongside other country artists including Terri Clark, Tracy Lawrence, Craig Morgan and Chuck Wicks. Throughout December and January he will join Remington to begin production on various content components for the brand's bicentennial celebration. Please visit Remington’sFacebook page for updates and news about the company’s 200th anniversary kick-off, upcoming events, and new products. 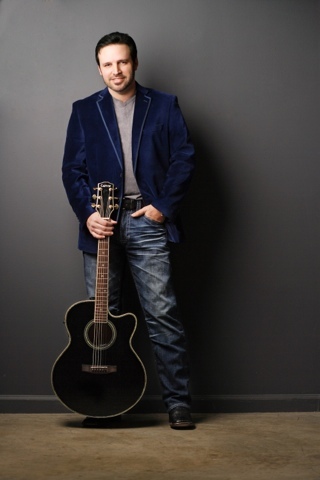 For information on upcoming Mark Wills tour dates and new music, please visitwww.markwills.com. Follow him on Facebook andTwitter!